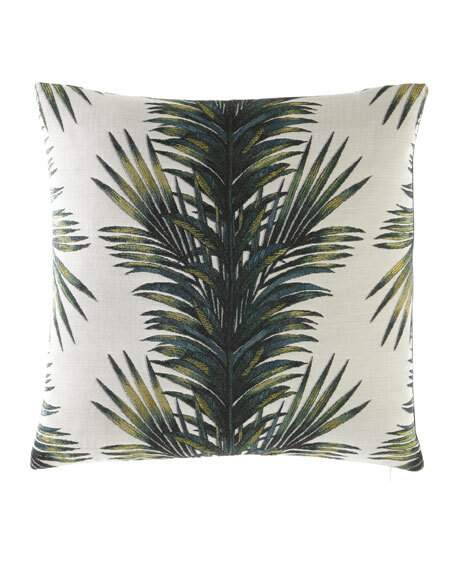 A classic palm motif taken from archive imagery and stunningly realized as a jacquard weave decorative pillow. The combination of yarns used creates a subtle sheen and this luxurious decorative pillow is finished with a monochrome striped reverse. 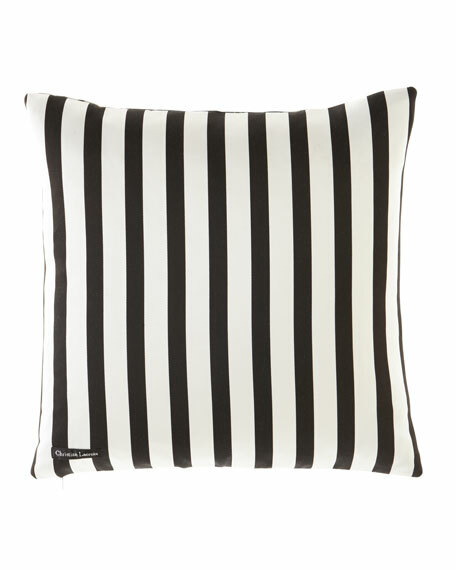 Leave design pillow with striped reverse.